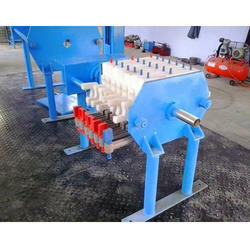 We are offering Manual Filter Press to our clients. Operating pressure: upto 4 bar. We manufacture manually operated filter press with Ratchet Closing Device. The system consists of Ratchet Mechanism, Pinion and Gear Wheel. By applying a Ratchet lever to the pinion shaft the force is transmitted by small pinion to the larger gear-wheel which provides the final lightning on the plate pack. Kurita Machinery Asia Pvt. Ltd.
closing plates are shifted by manual. 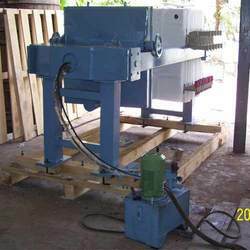 With rich industry experience and knowledge, we are providing an excellent quality range of Manual Filter Press.